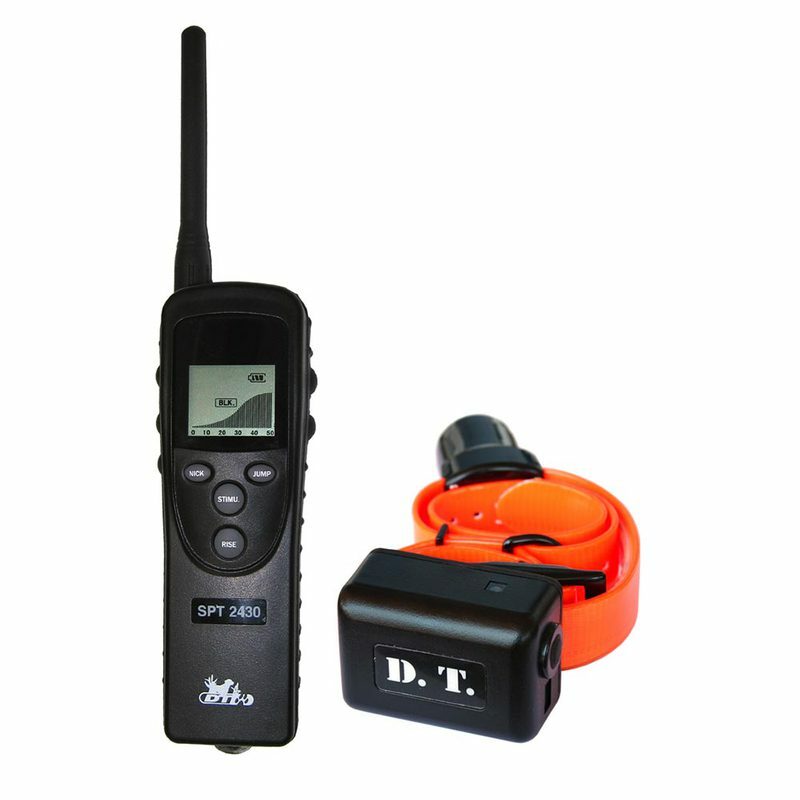 Introducing the ground-breaking SPT 2400 series remote dog trainer by D.T. Systems! 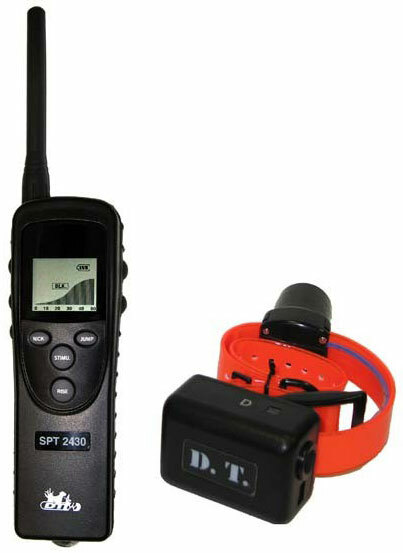 The SPT 2400 series was designed in collaboration with top professional trainers around the world with a focus on rugged reliability, ease of use, and training features such as Jump and Rise training aids. The Jump Stimulation is a great feature for training methods that involve “jumping” frequently between two different stimulation levels. As before, you can set a level of intensity to the Nick or Continuous Stimulation buttons that is appropriate for training your dog. The Jump Stimulation button allows you to set a second, self-programmed stimulation level higher or lower than your normal intensity level setting. Applying a correction at the right intensity level quickly and timely is paramount in dog training with e-collars. With the Jump Stimulation feature, you won’t have to have to fumble around with the stimulation setting at the time that the correction is needed, so the chances of applying a stimulation too late or at the wrong intensity level are virtually eliminated. The Jump Stimulation is also useful in emergency or dangerous situations when your dog is excited and not responding to the normal stimulation level. If you do not have time to increase the intensity level in these situations, the Jump Stimulation is a fast and convenient way to get your dog's attention before the situation gets out of hand.